Join us during Spring break and through Easter to paint and holiday items to decorate your homes during the season. Restless kids of all ages are welcome to come sit and get creative during Spring Break. 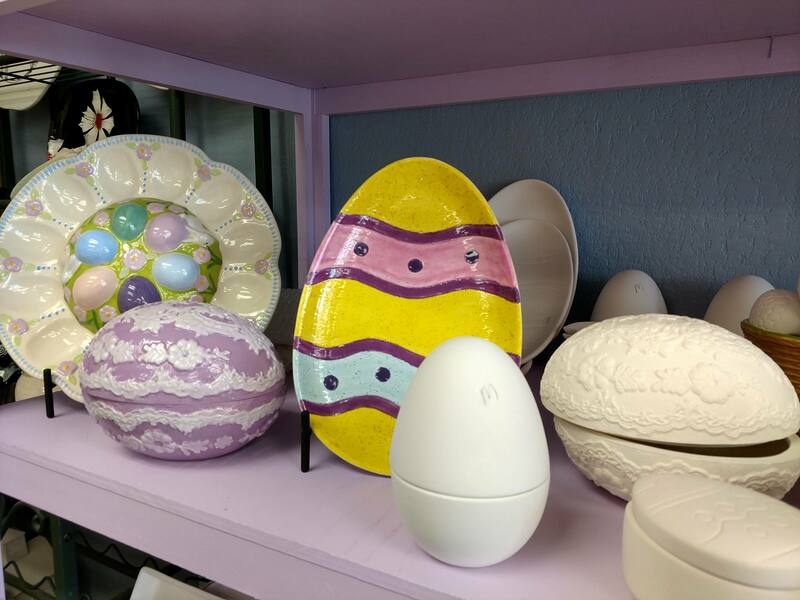 We have hundreds of fun items in stock to decorate! Simply Stated & Painted is a ceramics painting studio located in Maumee, Ohio. We have hundreds of ceramic bisque pieces you can paint. Mugs, plates, figurines, ornaments and novelty items to decorate your desk or mantle, and to give as gifts on special occasions. How it works: 1. Pick your piece. 2. Grab your supplies - we have everything you need. You don't need to bring a thing! Choose your paint colors. Sit down, relax and paint away. Don't worry about a thing - our friendly staff will help you make your experience as fun and relaxing for you as possible. 3. We fire it in a kiln. 4. You come pick it up and take it home. Simply Stated & Painted invites you to spend special occasions with us, as well as your friends and family, to create and celebrate together! 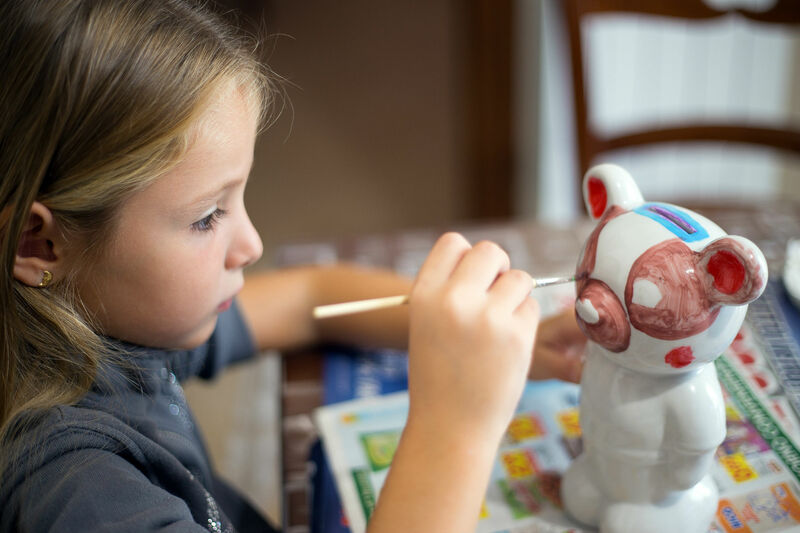 Enjoy ceramic painting projects with a special group. Have a special event and want to do something unique? Contact us to set up a unique ceramic party. We provide the pottery, you supply the creativity. Come join us for a pottery painting class! We offer group instruction on ceramic projects centered on holiday themes and seasonal decorations for your home. Mark your calendar and get creative! We offer discount events on seasonal ceramic items. Check our calendar for discount days and specials. So much fun for date night or with your friends! I had a great time at Simply Stated & Painted! My best friend and I went and we had the best time! Had a nice relaxing afternoon. Had a great conversation. Can't wait to see my pieces and come back to do more.